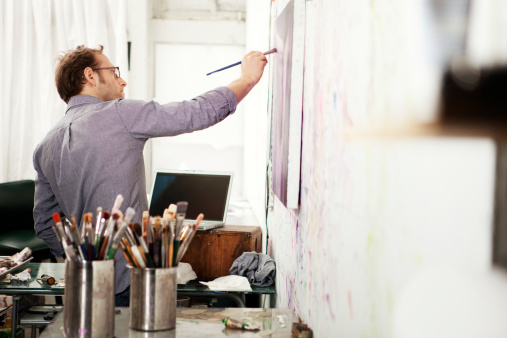 Is your New Year’s resolution to start a business? Is your dream to be your own boss? Do you have a passion you’d love to turn into profit? If so, do you know your next step? After all, a resolution isn’t much without implementation. And deciding to start a business is one of the biggest resolutions out there. After working with countless entrepreneurs over the years, there are some essential lessons I’ve learned from some of the most successful small business leaders out there. You’ve heard the saying, "Do what you love and the money will follow." That’s not exactly the case. Yes, passion is important. But in order to turn your passion into a profitable business, you’ve got to fill a need that others are looking for. Think about this for a moment. The market isn’t necessarily concerned if you are fulfilling a lifelong dream. Customers spend money on products and services that fulfill their needs or their own desires. Focus on how your passion can make a difference to others-- that’s the key to success. Too often people don’t execute on their ideas of fear ⎯ fear of failure, fear of embarrassment, fear of what others will say. If you have a great idea (even a good idea), then make it happen. Don’t be afraid of how it will all turn out. Just execute. In business, like in life, there are valuable lessons to be learned in each failure. Ralph Waldo Emerson said, “All life is an experiment. The more experiments you make the better.” Still not convinced? Think of it this way: by never trying, you’ve failed right from the start. 3. Balance your "Day Job"
If you currently have a full-time or part-time job, it can be a smart idea to continue working while you get started on your new business. Many administrative and planning tasks ⎯ such as writing up a business plan, picking a business and domain name, getting your logo, website and other marketing materials in place ⎯ can all be done before you leave your day job. While this plan may make for some very busy months, you’ll benefit from beginning your business from a position of strength. If you don’t have access to tons of capital, you probably shouldn’t consider launching a manufacturing company with lots of overhead and expensive product inventory. However, it’s more than possible to start a business with just a small investment ⎯ for example, service-based businesses or virtual ones (like blogging or freelance editing). Be realistic about your financing, and remember it’s okay to start small! Look for creative ways to fund your business, such as working out of your home, bartering with vendors, and leveraging social media for your marketing. The journey of turning your idea into reality can be long and difficult. Stay motivated by surrounding yourself with positive people who believe in your vision. In some cases, this could be family or friends who will remind you of your potential when times are tough. You can also join a formal networking or entrepreneur group that meets on a weekly or monthly basis. Participating in a professional group gives you a chance to see and learn from the success of other entrepreneurs, share business models, and success secrets. Most importantly, don’t forget to celebrate each accomplishment, no matter how small. As a small business owner, you’ve got an exiting journey ahead of you; don’t forget to enjoy the ride!